Physics Buzz: Podcast: Bicycle Physics; What Makes a Smooth Ride? 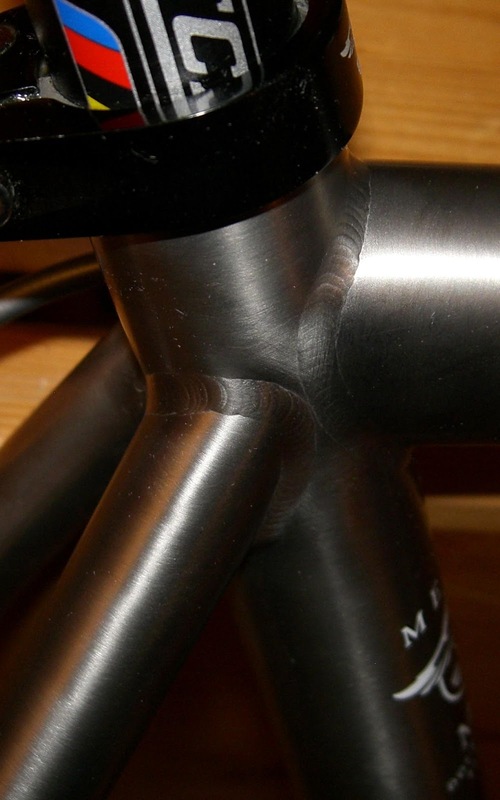 Podcast: Bicycle Physics; What Makes a Smooth Ride? On this week's podcast, we used physics to get to the bottom of an old bicycling myth. A bike made out of aluminum isn't guaranteed to give you a rigid, rough ride, while a bike made of steel isn't always going to be smooth and compliant. The different metals have their own unique properties to be sure, but the design and engineering of a bike has much more to do with how it feels than just what it's made of. We talked a little bit also about bikes made of titanium, but you don't see many on the road because they're so expensive. Though it's relatively common in the Earth's crust, titanium is a difficult element to work with. Extracting the metal from its ore, refining it and turning it into usable tubing is a complicated and expensive process, which drives up the cost of the tubes that bike builders purchase. However, a pile of titanium tubes does not a bicycle make, and builders need to know their materials science to weld them into shape. Welding two titanium parts together is hard for a couple of reasons. First titanium has a high melting point, about 3000 degrees Fahrenheit compared to about 2100 degrees for steel and 1200 degrees for aluminum. It takes a lot of energy to get an electrode that hot. Titanium has this annoying characteristic where starting at about 800 degrees, it bonds with the oxygen in the air. It forms titanium oxide, which is a very brittle material, and would crack as soon as any real weight is placed on it. In order to overcome that, builders use a technique called Tungsten Inert Gas welding, or TIG for short. TIG welding floods the area with an inert, noble gas like argon or helium. This way the welder can heat the two titanium sections to their melting points, without any meddlesome oxygen interfering. Aluminum bikes also need to be TIG welded.